Nice to meet you. We’re going to do great things together, friend. Here’s the plan. I’m going to make stuff. Duh, says 2014. 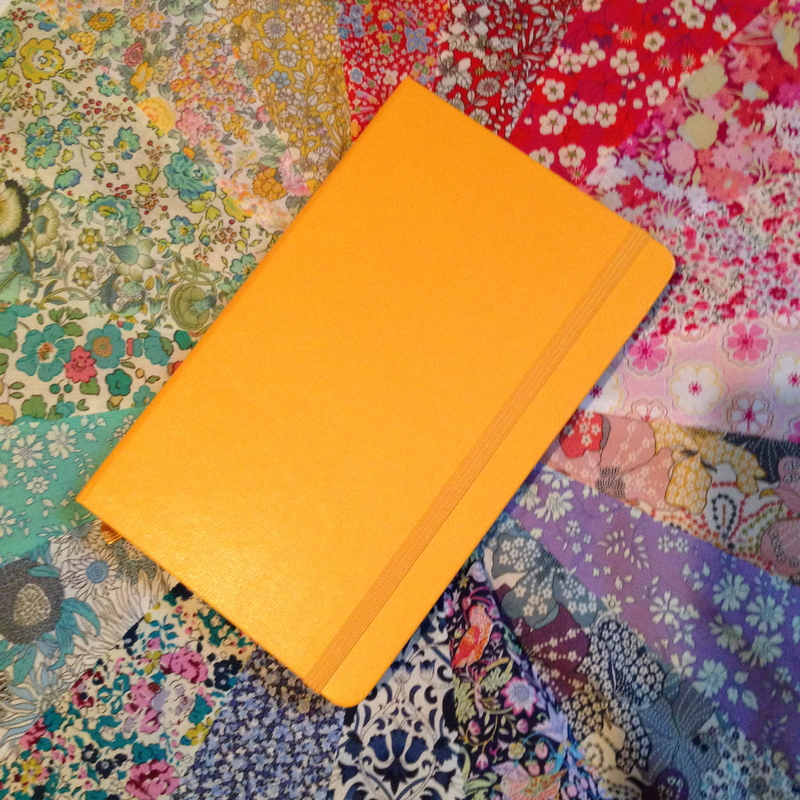 This is a quilting blog. You make quilts. How about a real resolution? No thanks. The difference, I say, is that I’m going to create more. I’m going to be mindful and try new things, and ignore that part of me that says it won’t be any good. I’m going to write (I’m taking a year-long class. Commitment!) and sew and teach and make. I’m going to keep creating and try to keep improving. I think it’s more about a shift in my mindset, that I want to have something to show for my thoughts and my creativity. I want color and beauty and inspiration. I want to bring things into the world and then give them away. I want to empower people to make things, learn about themselves and learn how creating can feed their souls. I already got started! 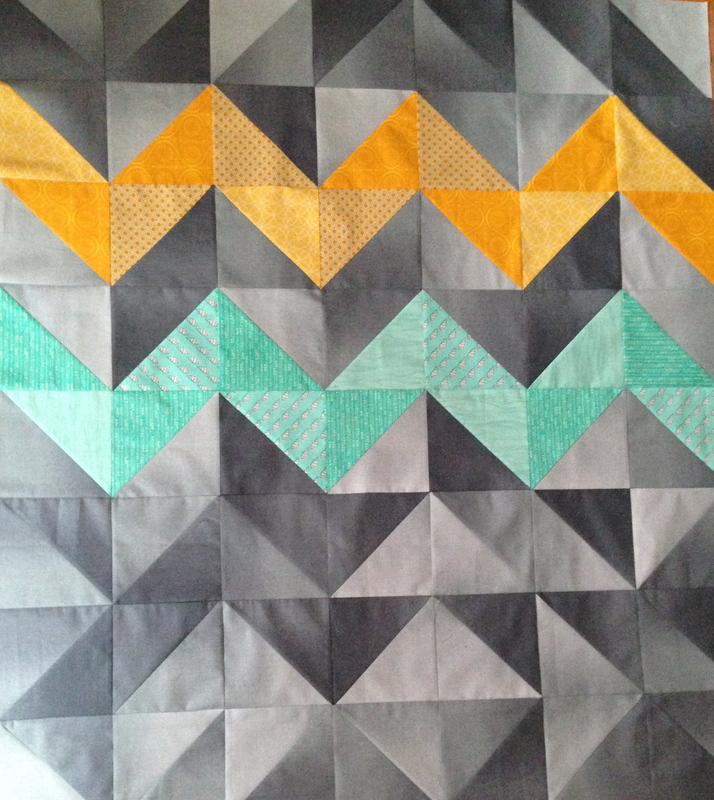 The baby quilt I’ve been working on for the last week was pulled entirely from my stash. 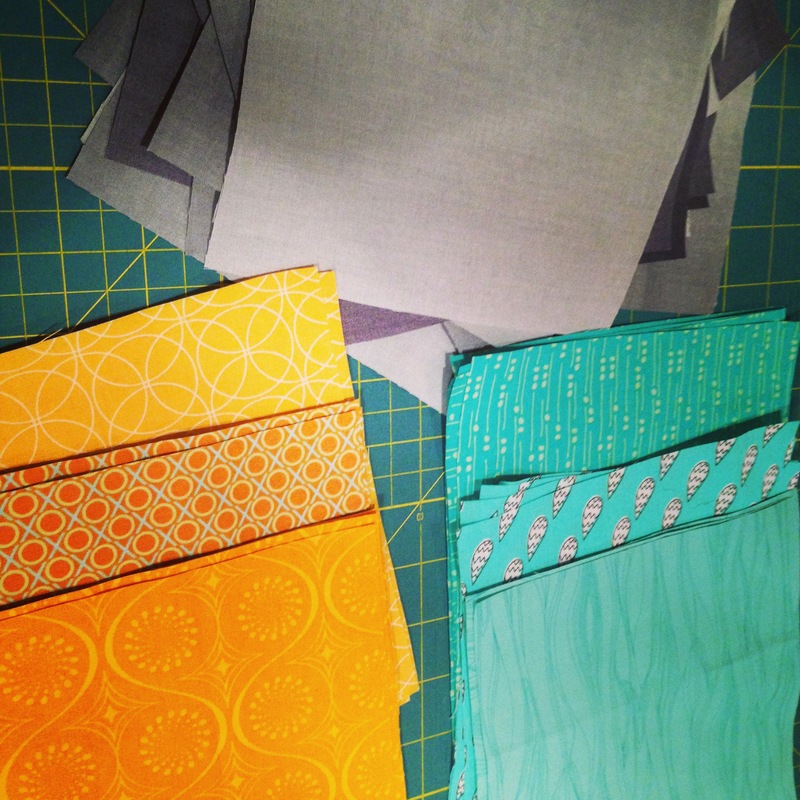 In my skyline phase I hoarded a lot of gray ombre, and I always love yellows and teals. Once I decided I wanted to do half square triangles with the ombre, the design came quickly. 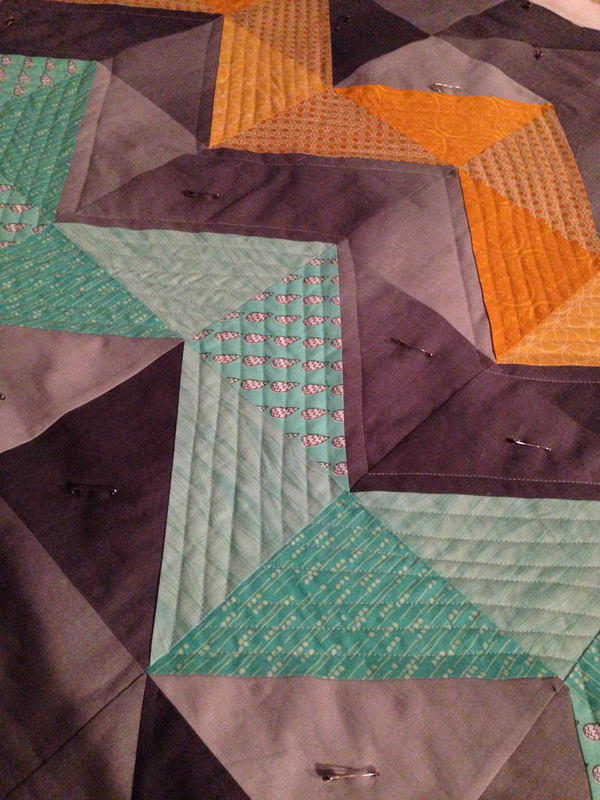 I’m quilting now and plan on a scrappy binding. Here’s to a productive year. Love the grey ombre, it gives the pattern real dimension. I also like your goals for the year; for the first time ever, I’ve made a list of what I want to do and will try and achieve it, instead of drifting along and going through dry patches where I don’t do any creative work. Here’s to a productive and creative 2014 for both of us. I love this quilt. Love it. “I’m going to make stuff” love it!!! Can’t wait to see what you do this year. Thanks, lady! That goes double for you. You are on a creative STREAK!